Building customized control system for specific robot is generally acknowledged as the fundamental section of developing auto robots. 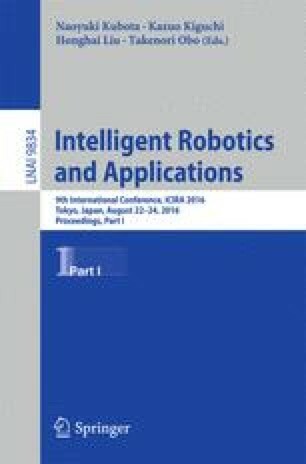 To simplify the programming process and increase the reuse of codes, this research develops a general method of developing customized robot simulation and control system software with robot operating system (ROS). First, a 3D visualization model is created in URDF (unified robot description format), and is viewed in Rviz to achieve motion planning with MoveIt! software package. Second, the machine vision provided by camera driver package in ROS enables the use of tools for image process, 3D point cloud analysis to reconstruct the environment to achieve accurate target location. Third, the communication protocols provided by ROS like serial, Modbus support the communication system development. To examine the method, we designed a tomato harvesting dual-arm robot, and conducted farming experiment with it. This work demonstrates the advantages of ROS when applied in robot control system development, and offers a plain method of building such system with ROS. This research is founded by MOST of China under Grant No. 2014BAD08B01 and No. 2015BAF13B02, and partially supported by the National High Technology Research and Development Program of China under Grant No. 2013AA102307.